I don’t remember where I first saw it but I found out about the cal in late march and fell in love instantly. They were already 3 months in! I really didn’t think I would catch up with the rest of the group. 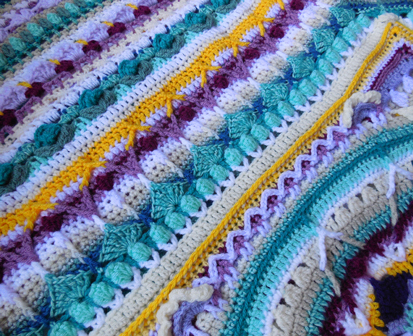 I put my crochet gear in fifth and got all up in this cal business. As the end result it only took me 1,5 months to complete, working on it almost every day. This must be some kind of personal record! I was so busy wiggling my stick that I forgot about my blog entirely! I kind of love that that happened, because it meant I really enjoyed myself. I learned so much from this project. 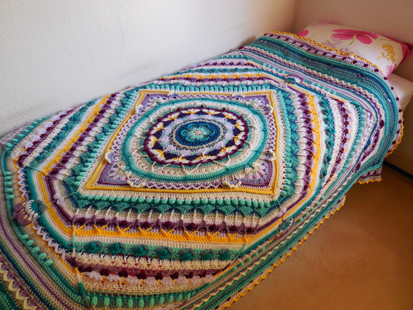 I’ve been crocheting for 5 years now, and I learned more in those 1.5 months working on this, than in my entire ‘crochet career’. The instructions were absolutely clear, with step by step photo’s for every row, making it easy to see if you’re doing it right. The pattern is just outright awesomely written! 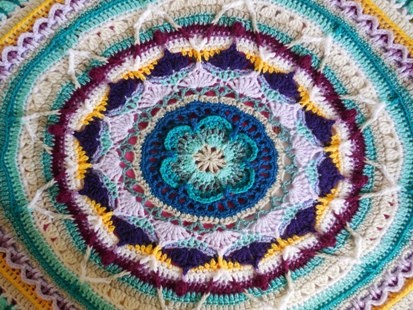 It all began with this mandala. Isn’t it pretty? Size made: the biggest version. I stopped one row short of finishing part 17 (there are 18 parts). I didn’t want to buy more yarn, since the last rows really eat up a whole ball it went pretty fast! 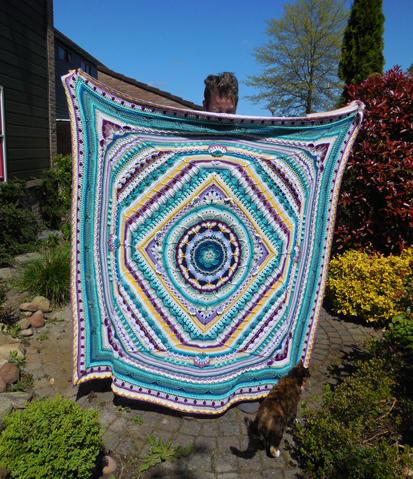 Pattern: Sophie’s Universe, Pattern can be found here, courtesy of Dedri Uys and Kimberly Slifer. It will remain there indefinitely, so there’s no need to rush to get the pattern. Skill level: No matter your skill level, if you want to do it, go for it! I see more Sophies on the internet (in various states of progress), but this is the first one finished. I’d never thought it would be this big! I can’t believe it either! To be fair I crocheted almost every day for a few hours. 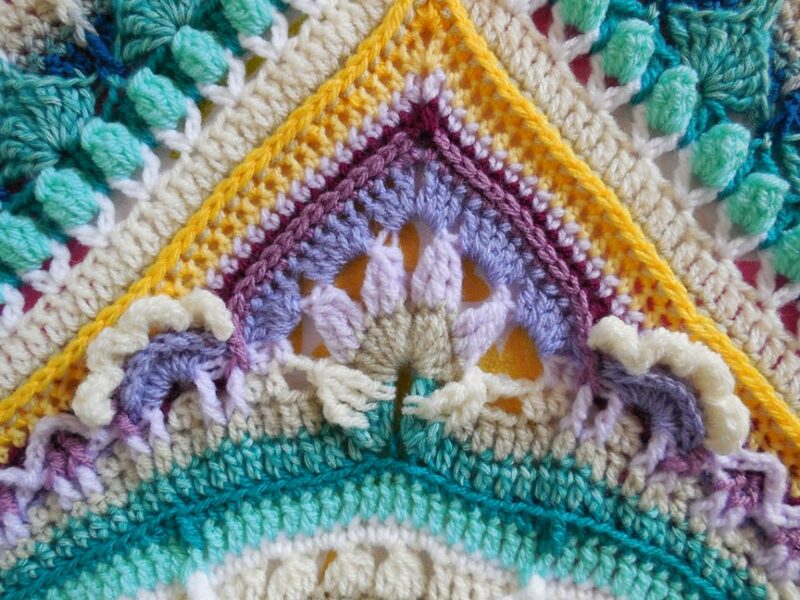 Plus the pattern itself is very addictive!